Undoubtedly, grammar is an essential component of writing. If you don’t have good grammar, you will struggle to convey the idea or message that you want to get across to your audience. However, if you’re like most people, you need to freshen up your grammar skills every once in a while. This is especially true if you have gone an extended period of time without writing. Chances are, you’ve referred to one of the various websites on the internet that are intended to help readers improve their grammar. While these websites can be a good place to start, it can also be easy to feel overwhelmed by these websites. When it comes to improving your grammar, it is definitely best to start small. Fortunately, here at Monkey Pickles, we want our Monkey Picklers to have impeccable grammar. Here are a few of the most important “Do’s” and “Don’ts” of grammar. As long as you adhere to these “Do’s” and “Don’ts” religiously, you will never have an issue with your grammar. No matter how stellar your grammar, you will fail to impress others with your writing unless you also have a vast vocabulary. Whenever you write, it is vital that you incorporate the biggest and most complex words you know as frequently as possible. In fact, you should use a vocabulary word even if you don’t know what it means as long as it will make you sound impressive. Of course, the process of ramping up your vocabulary can be long and arduous. Fortunately, you can start by incorporating the word “sensuous” and other uncomfortable words into your vocabulary. Use these words to describe the most inane of things. If you’re worried that other people will criticize you for such a habit, don’t worry about it. As long as you use these words with confidence and conviction, no one will ever question you. Rather, people will come to admire and respect you for your vocabulary and stellar grammar. Of course, your primary goal is to improve your grammar. However, even if you want to improve your grammar, you shouldn’t become a stickler for grammar or a dreaded “Grammar Nazi.” This is especially true when it comes to the little things, such as the difference between “affect” and “effect.” While it’s always great to know the difference between the two words, the truth is that the two words are interchangeable. Whether you use the word “affect” or “effect,” your reader will have absolutely no problem knowing exactly what you mean. Therefore, there is absolutely no point in having an aneurysm over the difference between “affect” and “effect.” If you don’t know the difference now, don’t bother learning. Instead, focus on more important grammar rules that will actually have an impact on the ability of readers to comprehend your writing. Time is limited nowadays and you definitely don’t want to waste your time no matter what. Another way that you can improve your grammar is by using punctuation as much as possible. 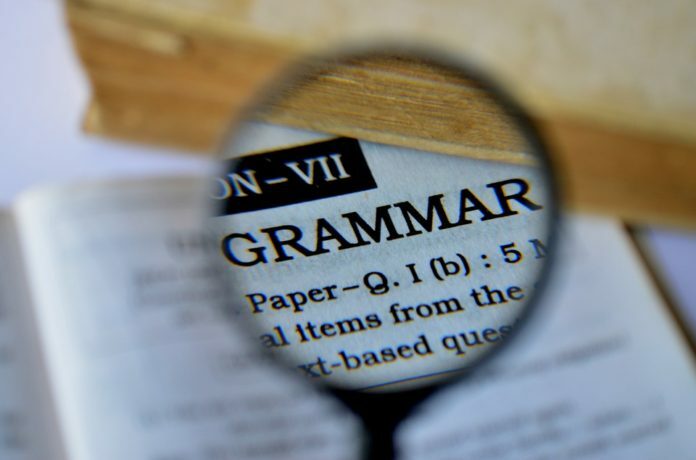 Littering your writing with punctuation will show your readers that you have an excellent grasp of grammar, particularly when it comes to punctuation. The truth is that readers frankly consider commas and periods boring. They’re tired of seeing the same punctuation marks time after time and long for the day when common use of more exciting punctuation like exclamation marks become the norm. If you fail to use question marks, exclamation marks, parentheses, hyphens, and quotation marks as much as possible, your audience will simply view you as boring and unworthy of respect. Don’t be surprised if your reader moves on to a different piece of work if all you use is boring commas and periods all day long. Whatever you do, you should not avoid sentence fragments and run-on sentences at all costs. In fact, when it comes to having good grammar, run-on sentences and sentence fragments should be your best friend. Sentence fragments are particularly useful when you want to emphasize a point or make your writing more dramatic. Therefore, you should try to use sentence fragments for at least every other sentence. If possible, all of your writing should consist of sentence fragments for maximum effect. Whenever you don’t use sentence fragments, you should use run-on sentences instead. Run-on sentences are perfect for when you want to get your point across in the most complex and convoluted way possible. If you want to have greater authority when it comes to your writing, you should try to use a few run-on sentences every once in a while. Not only will your readers be impressed, but your writing will be far more clear.